If you haven’t been to Ford’s Theatre in Washington, DC in the last ten years, you’ve missed a major makeover. Not only are the chairs in the theater more comfortable, but it has dramatically updated its interpretation. An extensive interactive exhibit on Lincoln and the Civil War (including Booth’s gun!) now fills the basement. Across the street, the Petersen House (“the house where Lincoln died” and the federal government’s first historic house museum) has been joined with the adjacent office building to provide several floors of exhibits and programs. Now it’s in the midst of creating Remembering Lincoln, a new website that will commemorate the 150th anniversary of Lincoln’s assassination by collecting, digitizing, and sharing local responses from the 13 months following his death. It won’t launch until 2015, but in the meantime they are sharing their progress and most importantly, their process on a blog. at its base is a checklist of specifications for the developer who will build a website (which, in this case, is the main end product for Remembering Lincoln). 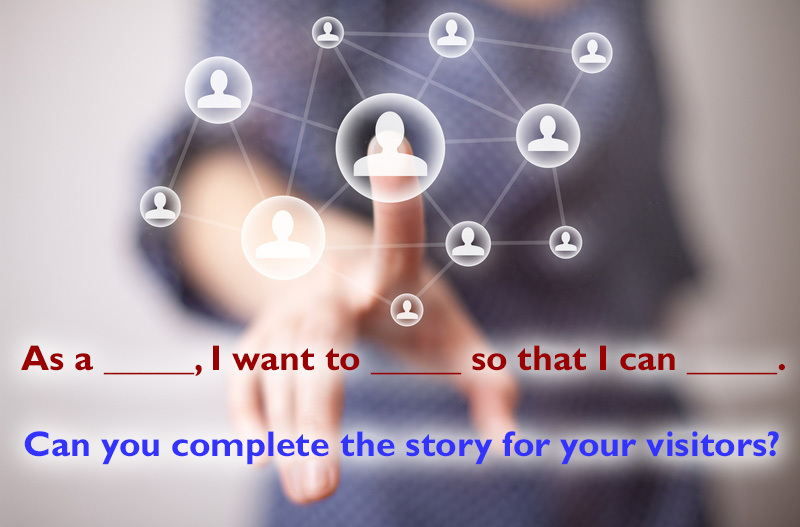 It’s laid out as “user stories,” which keep the website’s audiences at the center. A user story says, “As a ____, I want to ____ so that I can ____.” An example for Remembering Lincoln is: “As a teacher/scholar, I want to browse the collection by subject so that I can discover new ideas for teaching and research.” This not only lays out just what a range of users may wish to do, but it provides justifications for each proposed use. Great idea! Anyone can use this rubric not only to guide the development of a website, but also a school program, special event, exhibit, or tour. Of course, filling in those blanks is the tricky part: who are the primary users? what do they want? The old rule from retail applies here as well: sell what your customers want to buy, not what you want to buy. Of course, your organization has a mission and purpose but it has to be combined with the interests, needs, and motivations of your visitor to find the sweet spot of engagement. Relying on assumptions (e.g., “I know my audience”) often trips up museums and historic sites because they’re based on untested superficial anecdotes. In the Ford’s Theatre blog, David McKenzie explains that they developed their Product Definition Document by identifying target audiences, conducting interviews and surveys with them, and finally working as a team to craft and prioritize the user stories. To prepare for the visitor research, the team drafted outcomes for each target audience, then a subgroup of the team created a logic model for each audience. The benefit of this additional work, says consultant Conny Graft, “The outcomes and the logic model helped us to decide what questions we needed to ask in the focus groups and in the online survey.” It’s a model process, but note that it took a team of professional staff and consultants supported with a grant from the Institute of Museum and Library Services more than six months to complete. No matter what, a better understanding of the audiences you want to serve (and it’s got to more than demographics) will help you make better decisions, be more effective, and increase your impact (which in turn increases support)—and this simple tool will help get you there. This entry was posted in Community engagement, Historical interpretation, Leaders in the field, Technology and tagged Conny Graft, David McKenzie, District of Columbia, Ford's Theatre, Petersen House, Visitor research, Website on September 9, 2014 by Max van Balgooy.